When Kelly released the Emerson Crop Pant / Short pattern, I literally didn't even hesitate a second. I knew I had to have it. 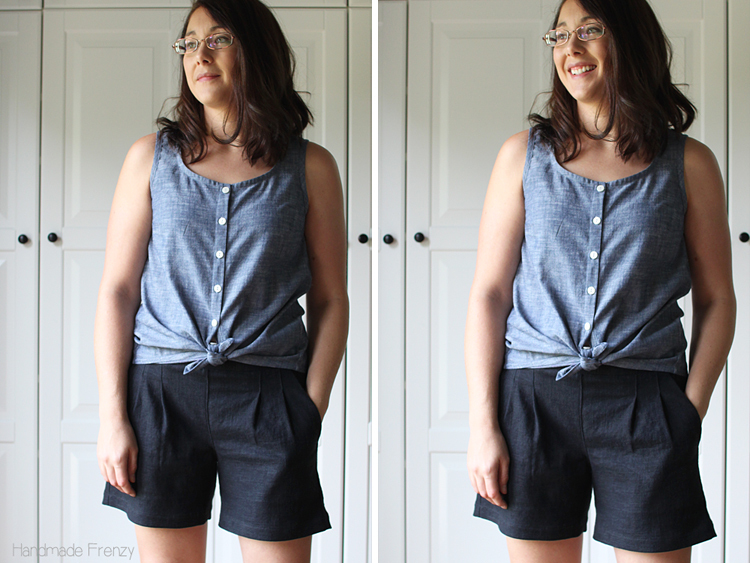 I'm not sure if I've ever had a pair of pleated shorts before, but somehow I knew that the shape was exactly what my hips needed. 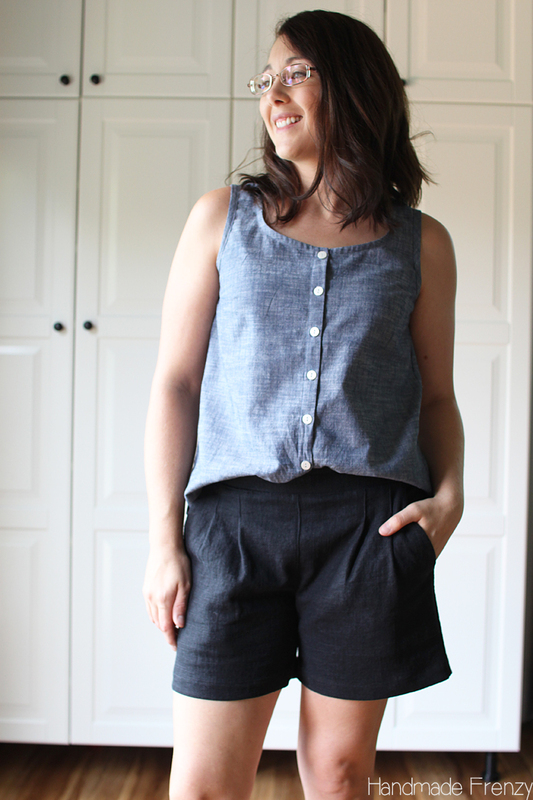 The flat front, pockets, and easy to sew and wear back elastic, all made it so great. I've been pushing my luck with not making muslins lately... (don't worry, I haven't given up the practice!) But I felt confident with these, just by looking at the front and back curve, they looked right for my shape. And I was right. They were perfect! The only change I made was to add 1" in length to the hem length and sewed up a straight size 6. My hips measure 37.25 at the time of making these. I am 5'3", the pattern says it's drafted for a 5"5' person, but I didn't make any adjustments and the waistband hits at a very comfortable spot for me. I'm also very short waisted, so I tend to like my bottoms to hit a little higher to help avoid the oh, so awful, muffin top! 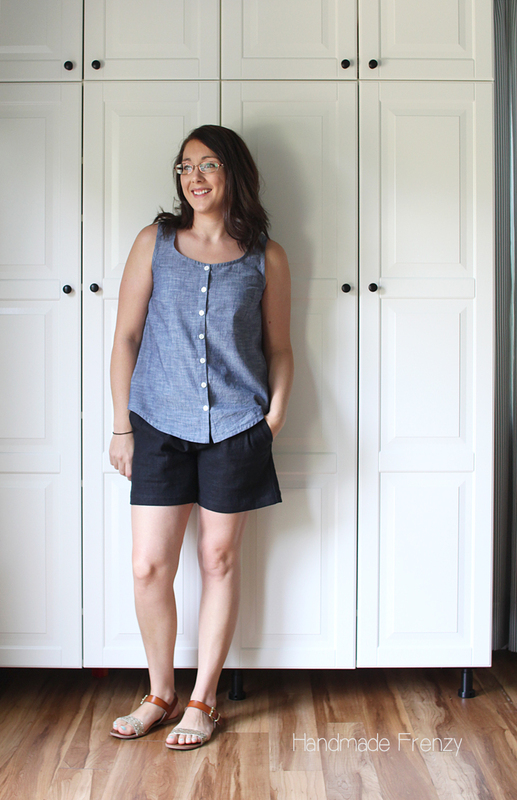 I sewed the shorts in a black linen/rayon blend from Joann's. 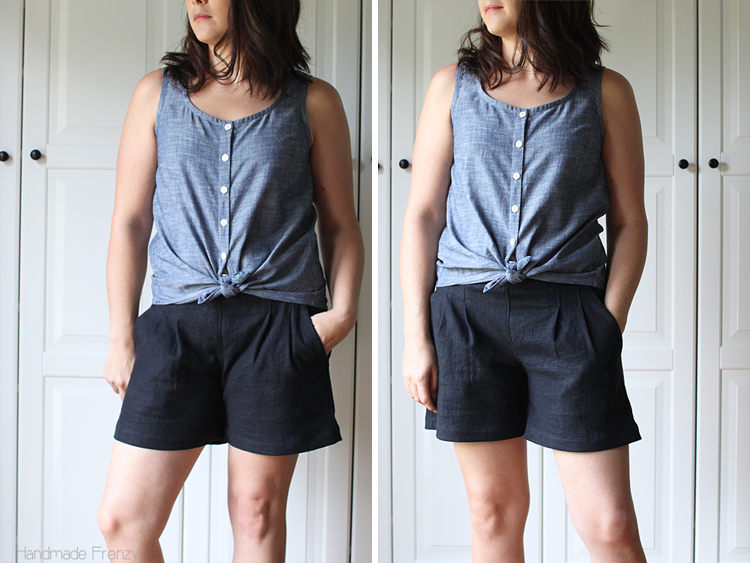 It has a little bit of weight to it that makes it so nice for shorts and it's very soft! 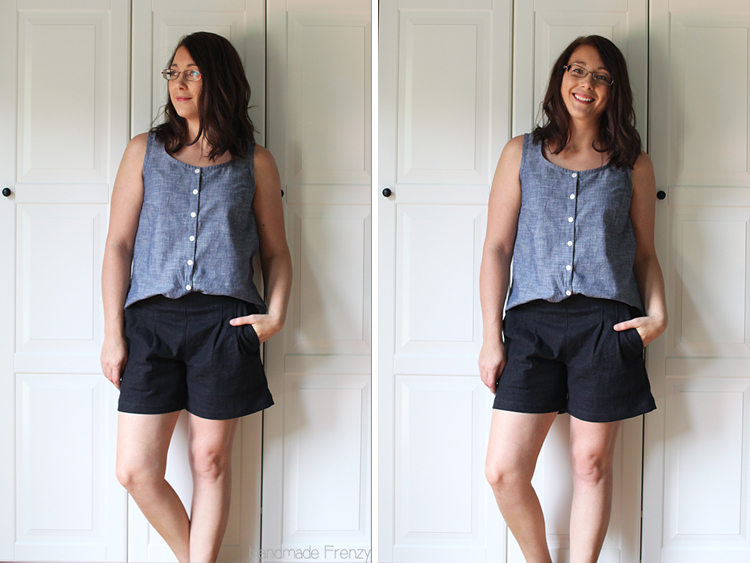 I want every pair of shorts to be this comfortable! If you haven't figured it out yet, they're good. Like really good. I can't wait to make a few more pairs. And also try out the crop length. 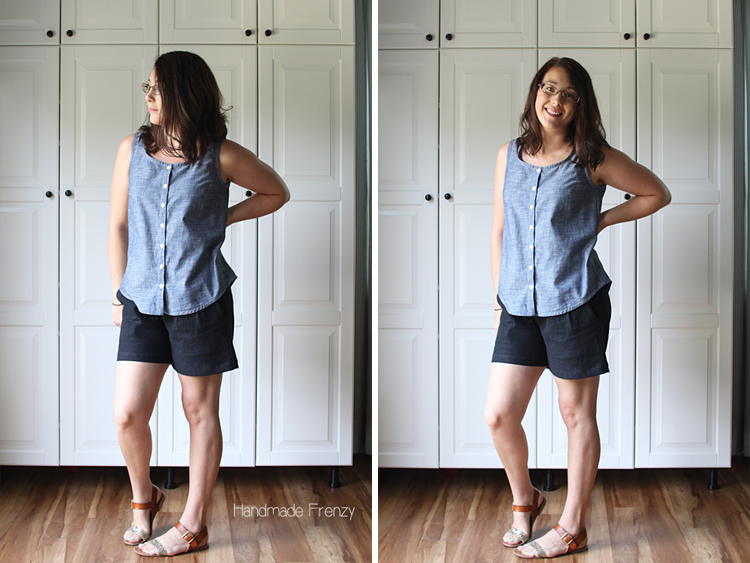 I decided to pair the shorts with a Southport tank hack, also a True Bias pattern and the hack from dress to tank tutorial is found here. I followed her tutorial exactly, since we are the same height. 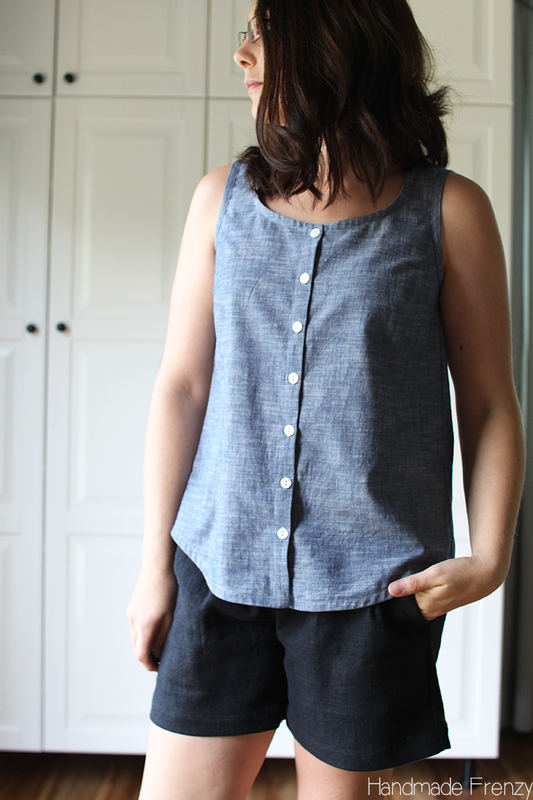 I've made this pattern 3 times now, not counting the muslin or two I made (see! I Do still make them!). I've tweaked the pattern for my shape and preferences and am loving it! The changes I've made are to size down one size, position the darts to the right spot for my body, raise the front neckline by 1 1/2", scoop out the armholes slightly, and lower the back neckline slightly. I am very pleased with how this version came out. 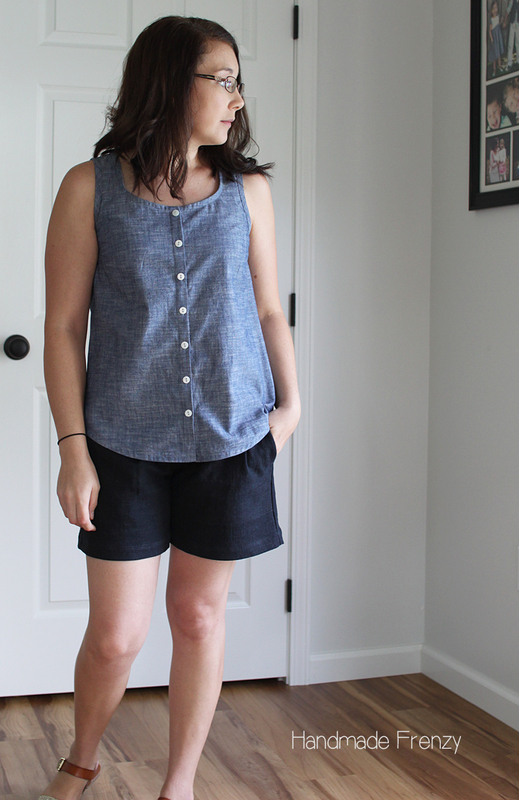 I made it in some weird chambray-like quilting cotton, also found at Joann's in the red tag section for something super cheap, like $3/yd. I bought yardddzzzz of it, so I like to use it for "practice" versions of patterns that I hope will become wearable muslins. 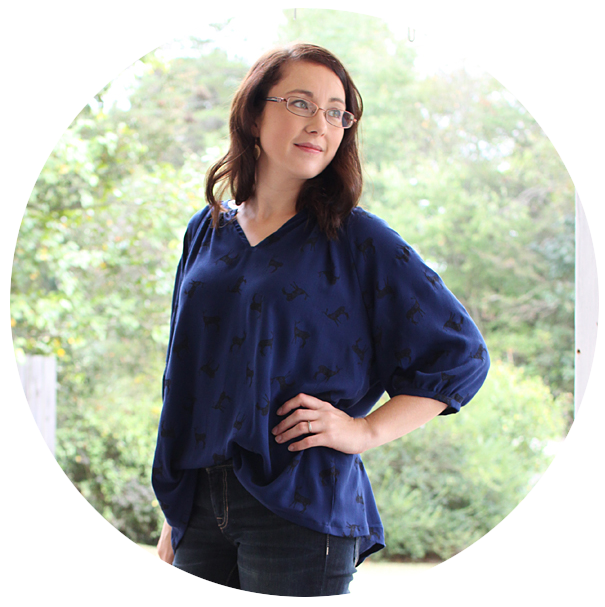 I am happy with everything about this shirt, except for that tiny little bit of standing up at the neckline where it curves. Any tips? Is this just a pressing issue or should I pinch just a bit at the neckline on my paper pattern? The width and fullness of this is perfect for a shirting fabric, but I think I'd like to try to take out some fullness for drapier versions, in say rayon challis or similar substrates. 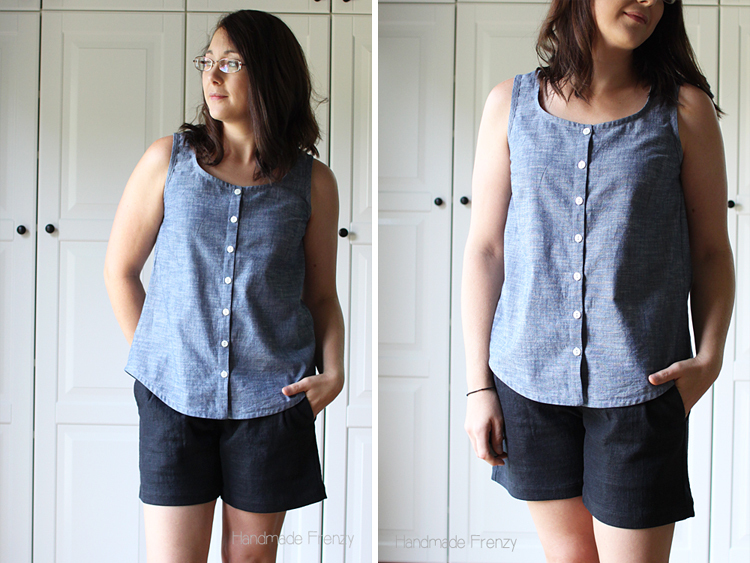 I also really love the button down detail and the shirt tail like hem for options in how to wear it! I mean... I love it untucked, tied, and I think my fave option is the front tuck. Southport Dress, Tank Hack - size 4 - front neckline raised 1 1/2" - back neckline lowered - armsyces lowered - dart adjusted. This is such an amazing outfit. I love the look of the tank with a knot! Those look so good on yoU! I can see why this outfit is your fave! It is perfect! I would be curious to know if you find a solution to the neckline.